Airbus and the North Western Polytechnical University (NPU) of China have signed a cooperation agreement to explore further uses of 3D printing in the commercial aviation sector. 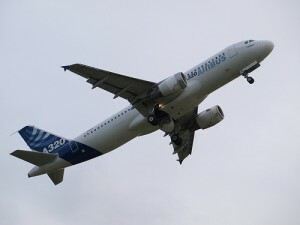 According to the news release by Airbus, the NPU will use its Laser Solid Forming technology to manufacture test specimens of titanium alloy parts for Airbus, which will be manufactured according to Airbus specifications and will be measured and assessed by Airbus. “We are pleased to have been selected by Airbus, the world’s leading aircraft manufacturer, as a partner to carry out the pilot project to explore ways of applying 3D printing technology in commercial aviation. This project is a test for our 3D research capability and we are confident we will deliver satisfactory results on quality and on time that will establish a solid foundation for further cooperation in this field,” said NPU President Weng Zhiqian. “R&T joint projects with Airbus and Chinese universities are an important part of the growing strategic partnership between Airbus and China. This initiative is further evidence of Airbus’ continuing search for capturing the best ideas in the world and turning them into industrially effective technologies to ensure the sustainable development of aviation,” said Rafael Gonzalez-Ripoll, COO of Airbus China. Airbus is exploring the use of 3D printing technology to manufacture individual parts or even larger airframe structures for its line of aircrafts. The company has identified the 3D printing technology as ideal for producing cost-effective, out-of-production aircraft spare parts on demand. 3D printing technology has the capacity to radically transform the manufacturing of airplane parts because it is potentially cheaper and can deliver components that are up to 55% lighter than those produced using traditional manufacturing methods. It also offers greater manufacturing flexibility, a promising reduction in the manufacturing process environmental footprint as well as cost-saving and weight-saving potential. In addition, the 3D printing technology is perfectly suited to producing low volume parts and is ideal for prototyping.